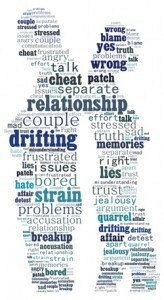 Couple Counselling– all relationships go through cycles of growth and challenge. Sometimes couples can become stuck in a difficult, painful or negative cycle and not know how to move themselves beyond the struggle. At Northern Guild we have a number of therapists who specialise in helping couples who are facing a challenging time in their relationship. Couples sessions can also be helpful for couples who have decided to separate and want to do this in the best possible way. Couples counselling can provide mediation, support and lead to better outcomes for all involved.